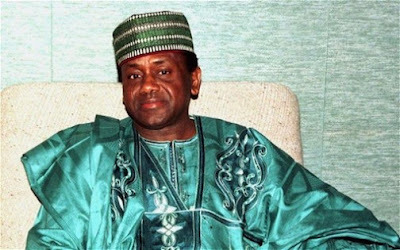 The Accountant-General of the Federation, Alhaji Ahmed Idris, on Thursday reported to the National Economic Council (NEC) that the balance of the money allegedly stolen by the late Gen. Sani Abacha stood at $26 million and 19 million pounds as at November 2015. The Benue Governor, Mr Samuel Ortom, made this known while briefing State House correspondents after a NEC meeting, which was presided over by Vice President Yemi Osinbajo at the State House. “We were briefed on the Abacha loot recovery. “The Accountant-General of the Federation reported that the dollar account as at November 2015 ending has a balance of $26 million, while the pound sterling has a balance of 19 million and 33 pounds. Ortom also said that the Accountant-General briefed the NEC on the remittances of naira equivalent of foreign exchange remittances made into some revenue generating agencies, adding that the incidents were further being looked into. He said the practice was not allowed and that the Federal Ministry of Finance was working out the details which would be forwarded to NEC. Contributing, the Governor of Taraba State, Mr Darius Ishaku, said that the Accountant -General disclosed that the excess crude account stood at $2.26 billion and yielded an interest of $599.14 million as at November 2015. “The Accountant General of the Federation reported to council that the Excess crude account stood at $2.257 billion as at the end of November 2015. Also speaking, the Sokoto State Governor, Alhaji Aminu Tambuwal, said that the Central Bank Governor, Mr Godwin Emefiele, briefed the council on the updates in policy measures being adopted by government to stabilise the economy. He said that the drop in the oil price had caused a lot of pressure on the crude oil reserve of the country which stood at $29 billion. Tambuwal said that the CBN chief added that the apex bank reduced the cash reserve ratio from 25 per cent to 20 per cent. He also mentioned the regulatory measures on the parallel market and introduction of the Bank Verification Number (BVN) and the proposal to introduce debit cards for travellers instead of cash exchange demand to reduce the buying of dollar cash for illicit businesses. He mentioned the measures being taken by the CBN so as to diversify the nation’s economy. The Minister of Budget and National Planning, Sen. Udoma Udo Udoma, explained that his ministry made a presentation on the Medium Term Expenditure Framework (MTEF) and Fiscal Strategy Paper (FSP) for the next three years. According to him, the presentation urged the states to adopt the MTEF and FSP as the basis for developing their annual budgets. He further said the states should be guided by the assumptions in the economic plan and also be conservative in their revenue and expenditure plans for 2016 due to the dwindling oil revenue. The minister stressed the need for closer collaboration between the Federal Government and the 36 states in the management of the nation’s economy.